Please Note: Photos from Ideal Photos are ONLY available at the Hip Hop & High Kick Championship Event! 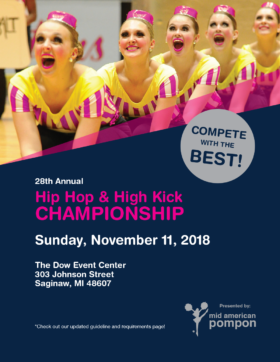 The Hip Hop & High Kick Championship is held at the beautiful Dow Event Center in Saginaw, Michigan. 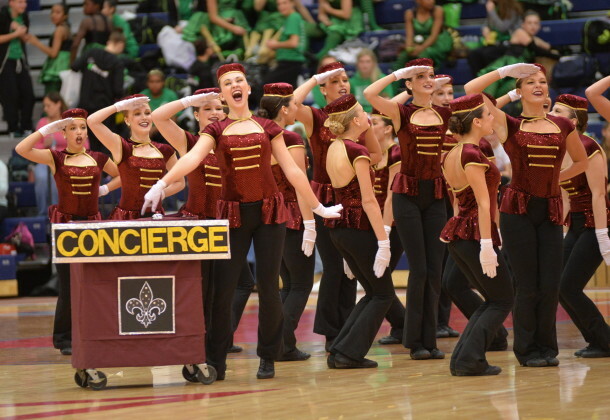 The championship enrollment is open to any dance, pom or drill team from elementary through the collegiate level. Dance studios and community teams are also welcome to compete at the Hip Hop and High Kick Championship. Teams are divided into categories according to size and level of team (elementary, middle school, junior varsity, varsity and collegiate).